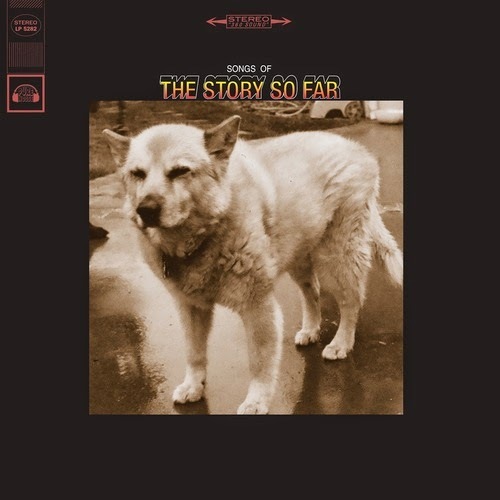 The Story So Far are no amateurs to the art of acoustic music. From the slowed-down, beloved version of “680 South,” to Kevin Geyer’s solo project with Parker Cannon’s voice trailing in the background and to last year’s split with Stick to Your Guns – the point is that these guys can do it. They have done it extremely well, too, considering how difficult it can be to go from the band’s usually fast and raw tempo to producing something softer, but with just as much sentiment. Yet – for the first time – on Songs Of, the band approaches acoustic music in a way that just does not deliver quite nearly as well as it did before. When What You Don’t See was released last year, “The Glass” was one of the songs that stood out because it highlighted perfectly what The Story So Far is known for – which is being fast, raw and angry. This version sounds completely different, but not in an “it is better acoustic” sense. All the rawness from the full length is gone, and not simply because it is slower. Just because a song is slower does not mean that the emotion from the original has to be left behind; if anything, acoustic songs – because of their slowed-down, melancholy nature – tend to amplify the emotion of a song. However, everything that made “The Glass” such a stand out song is left out here particularly because it is slower. To match the slower sound, Cannon sings monotonously compared to the way he usually enunciates highly, thereby also stripping all the emotion that made the original so impressive. Even the slight change of leaving “the f**k” out of the “How does that change anything?” line demonstrates how the anger that was so heightened in the original version is completely unsaturated here. “Navy Blue” fits more authentically as a trademark The Story So Far acoustic song because Cannon resumes how he regularly sings. It helps redeem the monotony from the previous song and provokes far more emotive along with the touch of the violin/viola in parts of the background. Though “Navy Blue” is not the most memorable of the band’s acoustic works, the repetition of “I hope this makes you sad” is definitely the stickiest line of the EP. “All Wrong” is another acoustic version off What You Don’t See, but it is only a 37-second clip and gratefully so because it mirrors the first song; had it been made full length, it likely would have followed the same slow, monotonous approach of “The Glass.” However, because the song is shorter, it works better and it sounds like a nostalgic and leftover demo that segues quite nicely into the next song. “Bad Luck” is the last acoustic-turned song from What You Don’t See, and it’s the best on this EP. It starts off a little faster then slows down before getting faster again, and Cannon’s voice picks up as well by hitting his usual high notes. There is still something missing to make it good enough, though, and it is not because an acoustic song has to necessarily live up to its original. The point is that it has to survive at least on its own and, though this song possesses more range than the other other two reworked songs, it still barely does it. Lastly, “Waiting in Vain” does not succeed in the way that the band’s previous cover of Pinback’s “Loro” killed it. That probably has to do more with the fact that Bob Marley was incomparably, well, Bob Marley. The guitar solo in this version makes this track worthwhile at least. The What You Don’t See acoustics miss home by at least half a mile and “Navy Blue” does not possess that it quality that made “Clairvoyant” so repeatable; nonetheless, one thing that could be foreshadowed based off this EP is that The Story So Far may be at that point in its career where the members are truly ready to experiment with what they work on next for the band. Though Songs Of may not have exceeded any expectations, it is far more interesting to see a band growing, changing and figuring out what works for it rather than always producing the same thing for the sake of comfort and pleasing masses.